J. Oskar releases new LP album ‘Magic of Nature – Forests of Finland’ | Sonic Smash-Music! The songwriter and producer of orchestral music known as J. Oskar has released his latest official full-length album, “Magic of Nature – Forests of Finland.” The album contains no fewer than 22 original J. Oskar tracks for an approximate total listening time of an hour and 15 minutes. It has been proudly published as an independent release without the involvement of the corporate music industry on the J. Oskar Music Production record label. Sweeping, soaring, and lending itself to myriad mental images, “Magic of Nature – Forests of Finland” showcases J. Oskar as one of the most intriguing music composers of 2019 so far and promises that he has plenty more where that came from. Finland’s J. Oskar cites as main artistic influences Secret Garden, Jon Lord, Mike Oldfield, and Hans Zimmer. J. Oskar’s own sound takes elements from each of these for a blend of classical and cinematic music which both narrates sonic stories and paints musical landscapes in the mind. With an emphasis on melodic interplay with interesting chord progressions and refreshing, often surprising choices of instruments, “Forests of Finland” by J. Oskar has a little something for everybody. This last point about Oskar’s “…Finland” album cannot be overstated. The record is not accidentally relaxing, but rather was composed specifically to work as a mellowing agent of sound as well as being a work of musical art on its own merits. 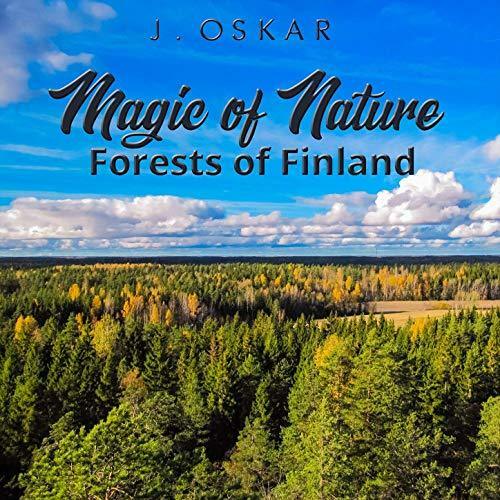 “Magic of Nature – Forests of Finland” by J. Oskar on the J. Oskar Music Production label is available from over 600 quality digital music stores online worldwide now. Get in early, classical and film score fans. This entry was tagged best finnish classical music, best new classical music, forests of finland, j. oskar, magic of nature, new finnish classical music, new finnish music, new kinds classical music.